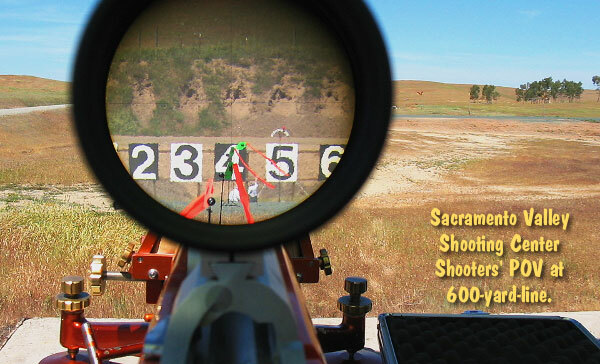 The NBRSA Long-Range Nationals will be held this upcoming week, April 18-22, 2012 at the Sacramento Shooting Center in Sloughhouse, California. This five-day program encompasses three separate events, starting with the 2-day 600-yard Nationals, followed by an F-Class Benchrest Match, and concluding with the 1000-yard Nationals on Saturday and Sunday. Entry/information forms are now available for the NBRSA 600-yard Nationals (Sloughhouse 600: April 18-19), 1000-Yard F-Class Bench Match (April 20), and 1000-Yard Nationals (Sloughhouse 1000: April 21-22, 2011). All three events will be held at the Sacramento Valley Shooting Center, located outside Sacramento, California. There will be hot dogs for purchase April 18, 19, 20 and 22. The organizers have arranged a catered lunch on Saturday, April 21st. (April 23rd, Monday is reserved as a “make-up” day in the event of bad weather). Match Fees for the two Nationals Events are $50.00 per class (Light Gun and Heavy Gun), while the fee for the F-Class Bench Match (22-lb class) is $30.00. Make checks payable to: FOLSOM GUN CLUB. Mail to Craig St Claire, 10607 Sacramento Road, Galt, CA 95632. Click the links below for more information or visit the NBRSA website. The 2012 Tax Deadline for tax returns to be filed (unless you get an extension) is April 17th. So this provides some added incentive to get those returns done and then go have some fun in Sacramento. You can compete at 600 yards, or 1000 yards, or both, and F-Class shooters can try their hand at long-range shooting from the bench. Share the post "NBRSA Long Range Nationals (600-yd and 1000-yd) This Week"